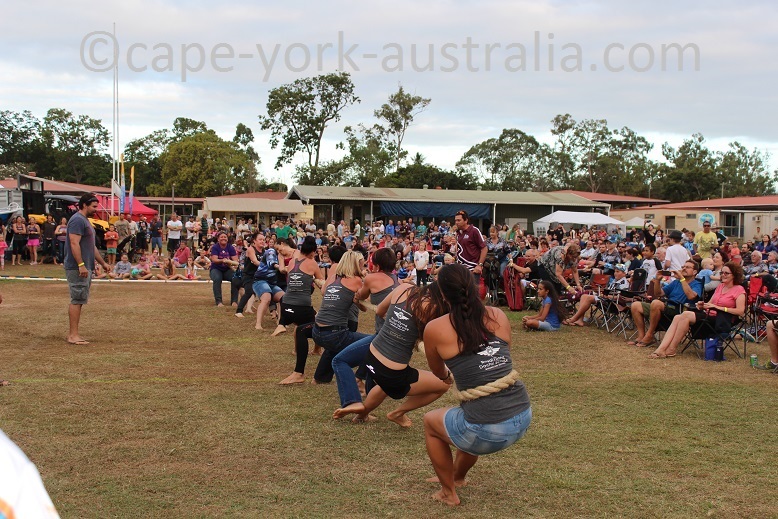 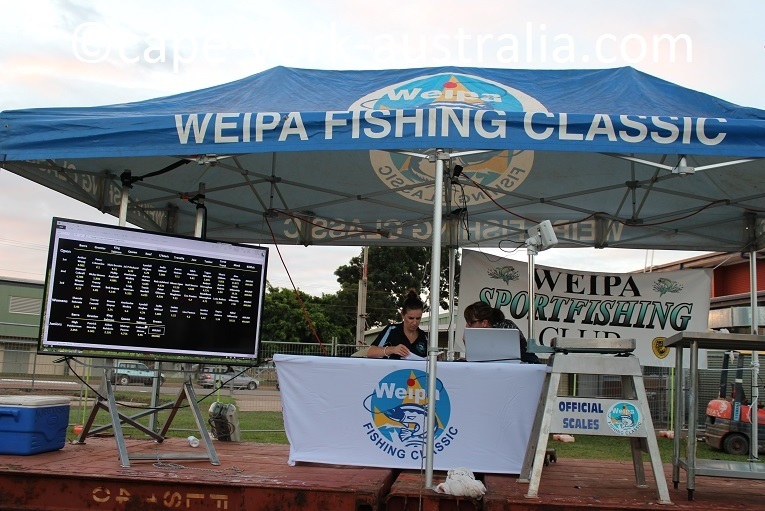 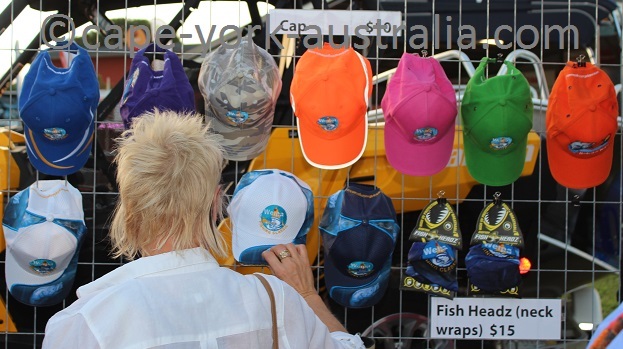 Weipa Fishing Classic is one of the best events on the peninsula. 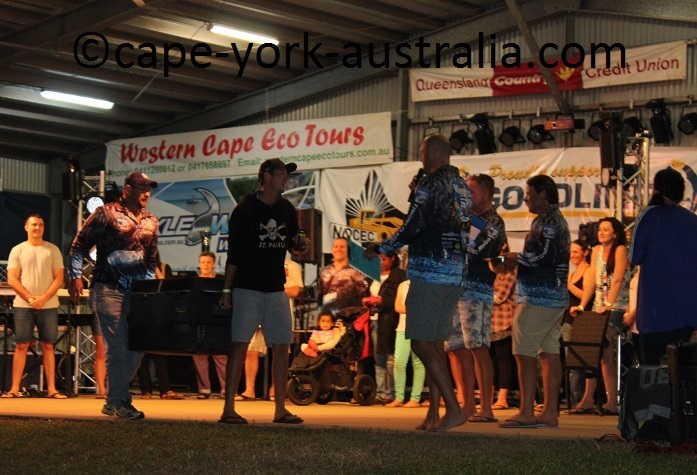 There is some great fishing, some great big fish, some great prizes ... and guess what - you don't have to fish to win the biggest prizes! 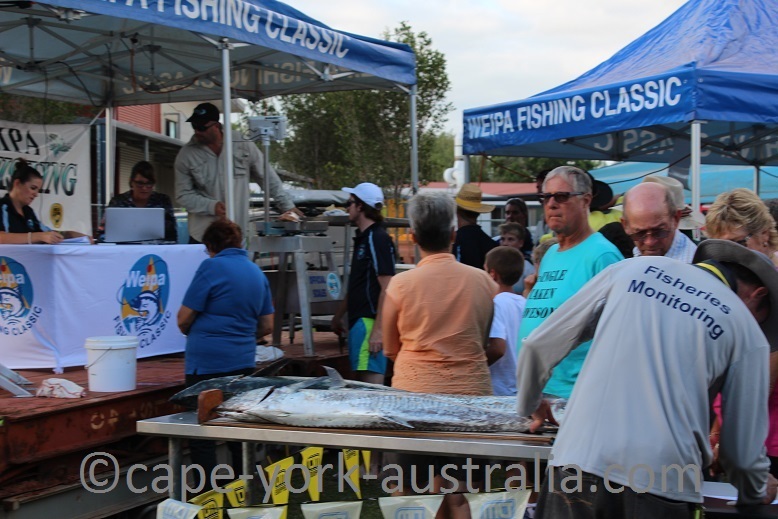 Yes - that's correct - this event is not only made for fishers but everyone, which is the reason why it is so popular. 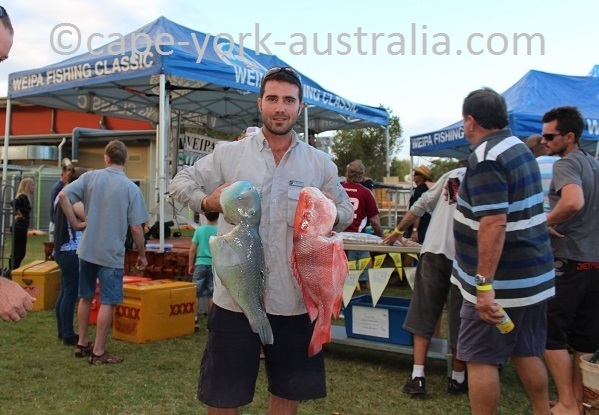 While fishing is a great way to spend the day time during this event and definitely pays off with prizes of thousands of dollars, the major prizes can be won by anyone who has paid for the nomination to be in the draw (fishers have to pay the nomination fee so they are of course also in all the prize draws). 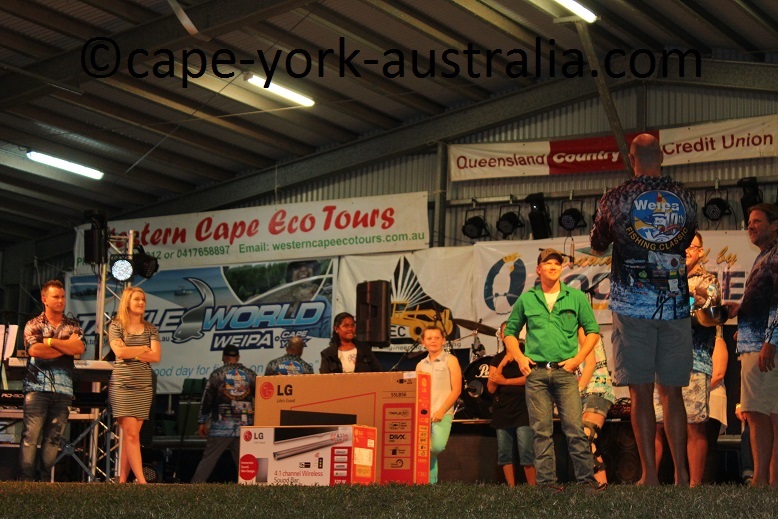 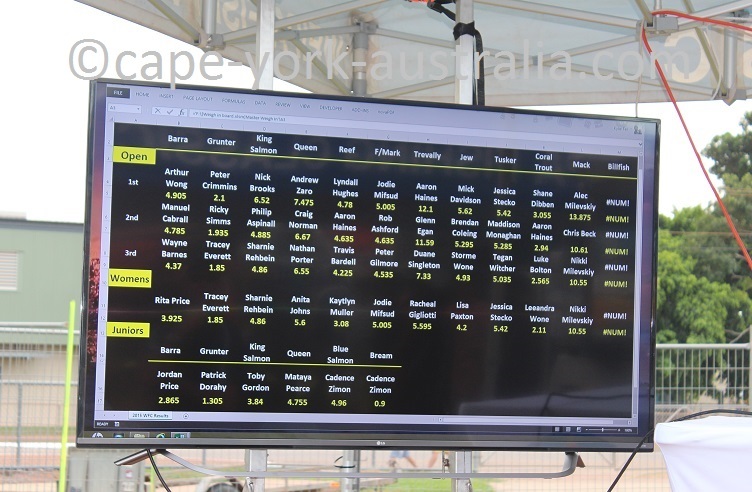 And the prizes are not small - in 2015 the major prizes were a velocity boat and a Can-am quad bike - keeping the crowd keen and attending every night. 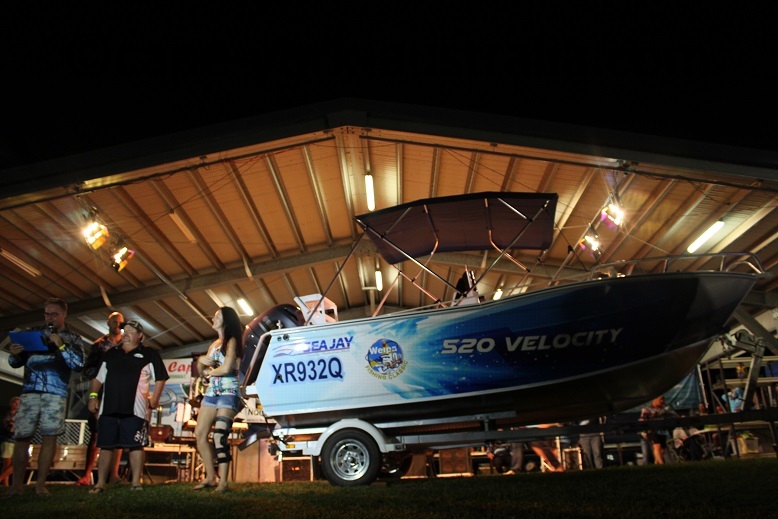 The 2,200 tickets were sold out in the days before the event started, and competitors were drawn each night into the final lucky group of 30. 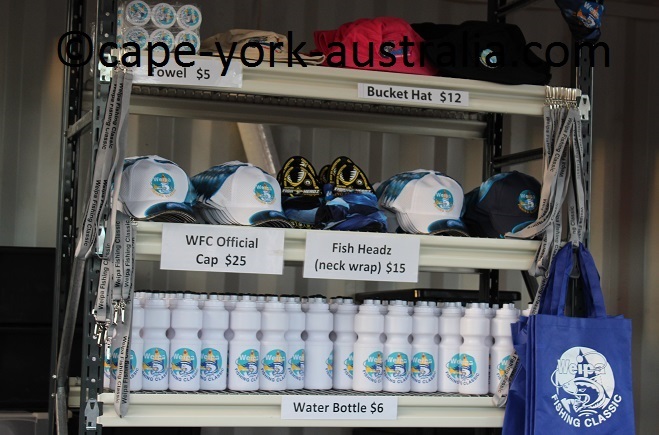 All prizes worth more than $100,000 in total, there were also fishing prizes, many different raffles and random draws. 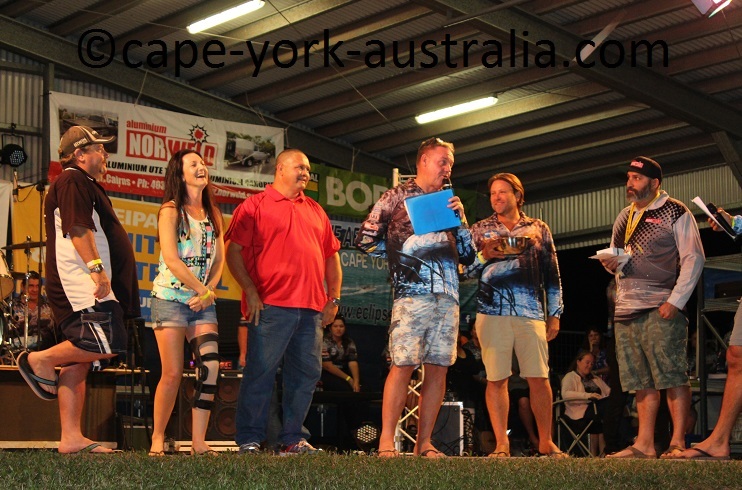 The 30 people who ended up in the final draw were all given good prizes one by one, while closing in on the last people left in it, who won the main prizes. 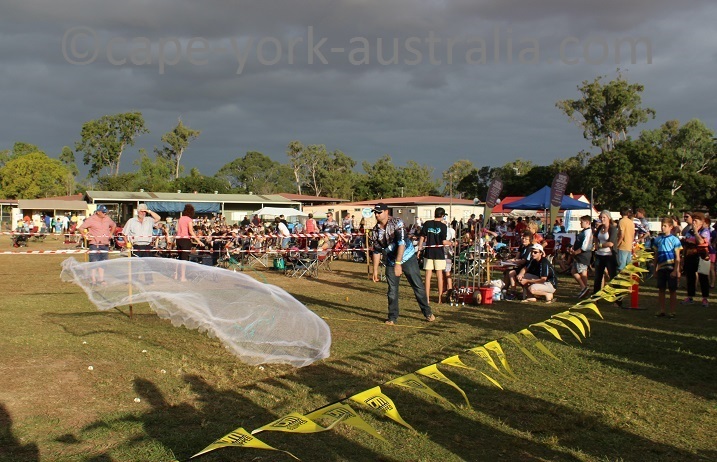 The third prize was an 18 carat gold pendant with an Argyle diamond. 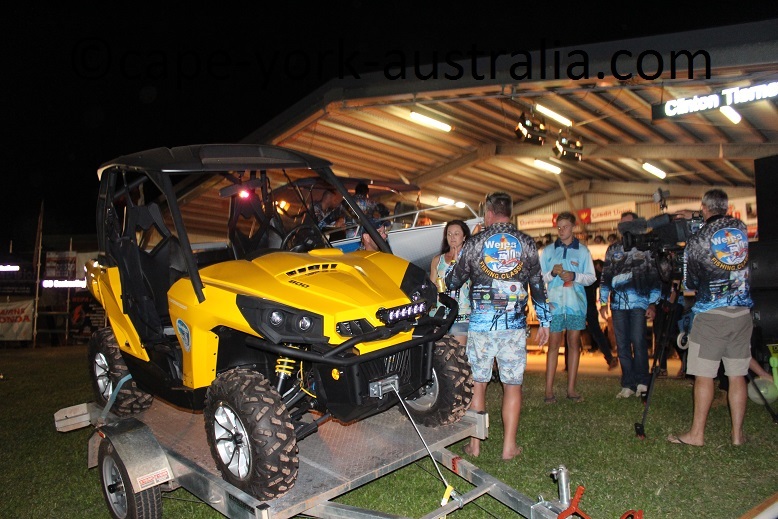 The second prize was a Can-am commander 800 DPS that came with BRP accessories and a trailer. 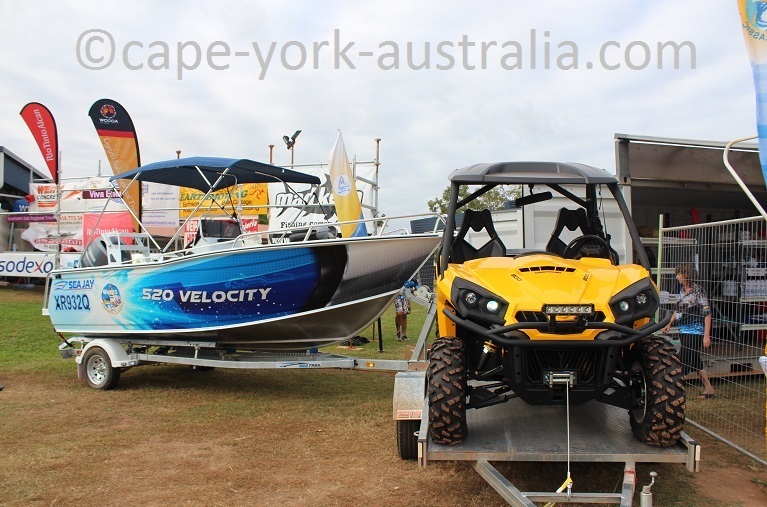 And the first prize was a 5.2 metre Sea Jay Velocity Boat that came with a 115hp Yamaha 4 stroke outboard, GPS, VHF marine radio, safety gear and a trailer. 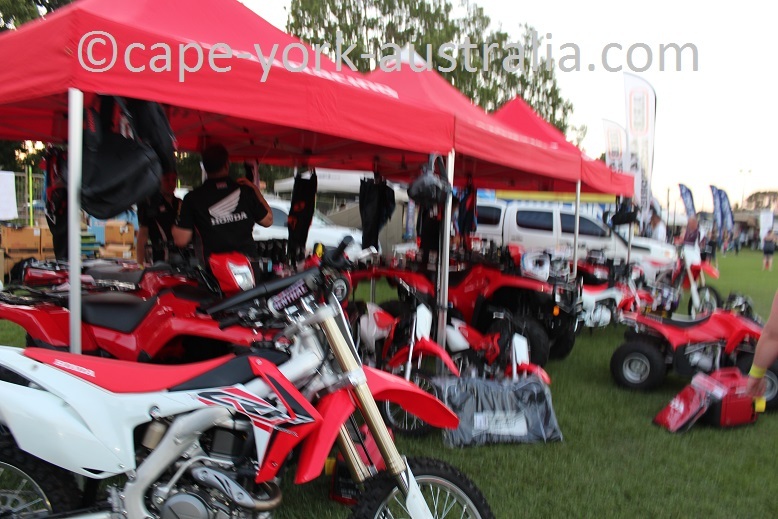 ... and there were exhibitors and stall holders including ARB 4x4 Accessories, Cairns Honda, Trinity Kawasaki, Pacific Toyota, Weipa Auto and Irelands of Cairns only to name a few. 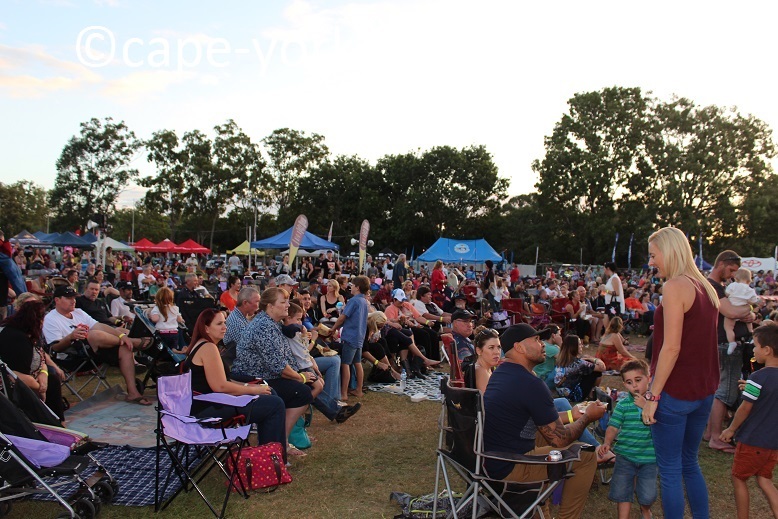 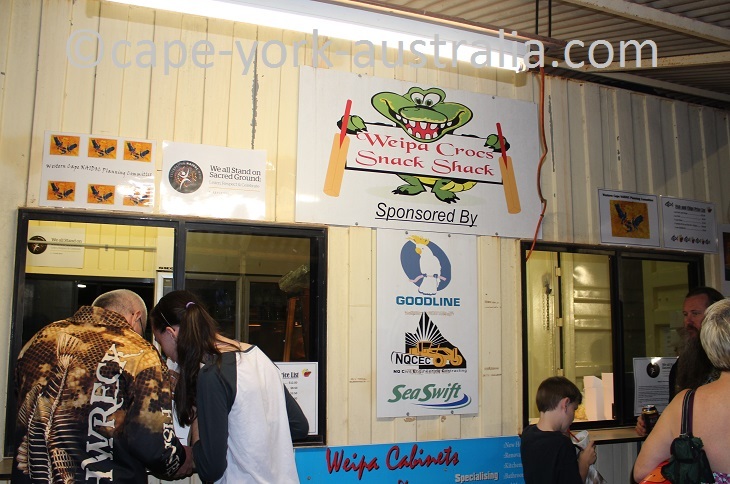 Licensed bars and food outlets - seafood baskets and souvliaki, gourmet sandwiches and roast beef rolls, sausage sizzle, Asian food, fish and chips and more. 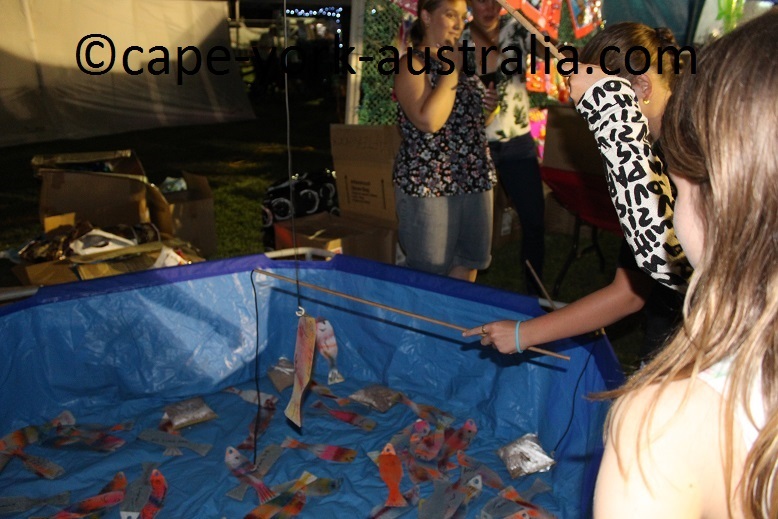 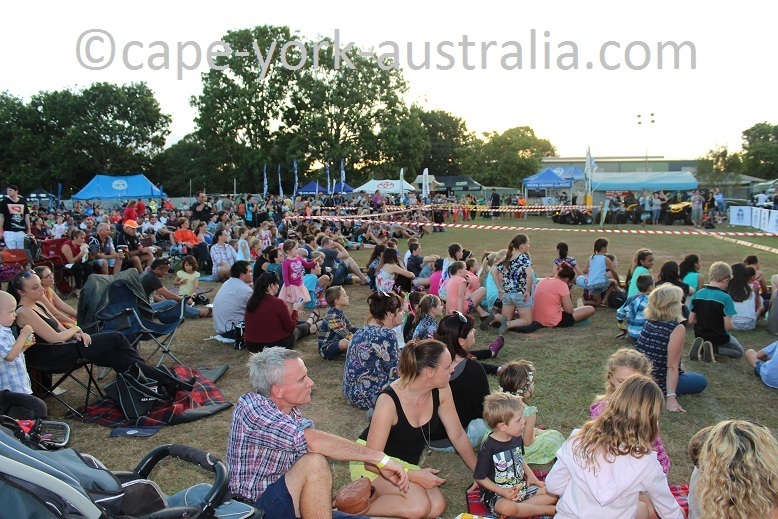 Kids fun - Weipa Fishing Classic mascots, jumping castle, fish throwing competition, shooting gallery and bubbles, stilts and balloons, glow sticks and show bags. 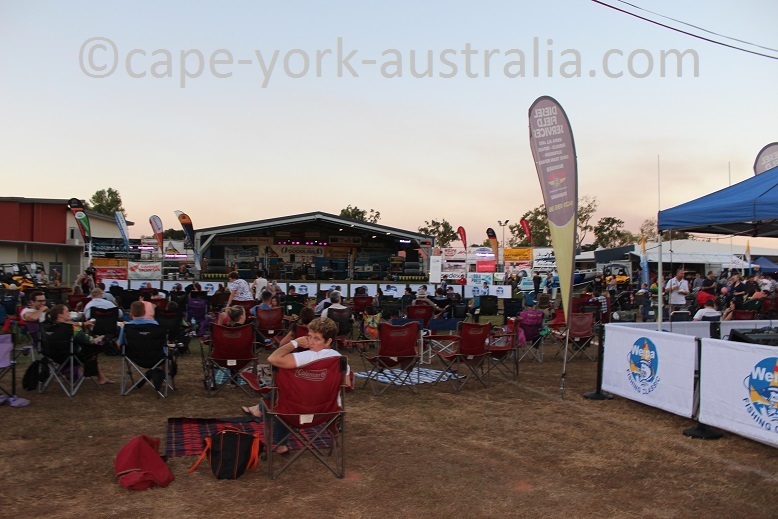 ... special guests, and live music entertainment on the stage. 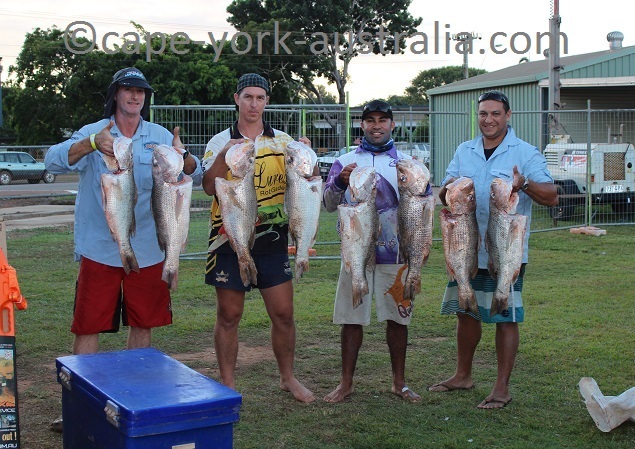 And then of course - the fishing. 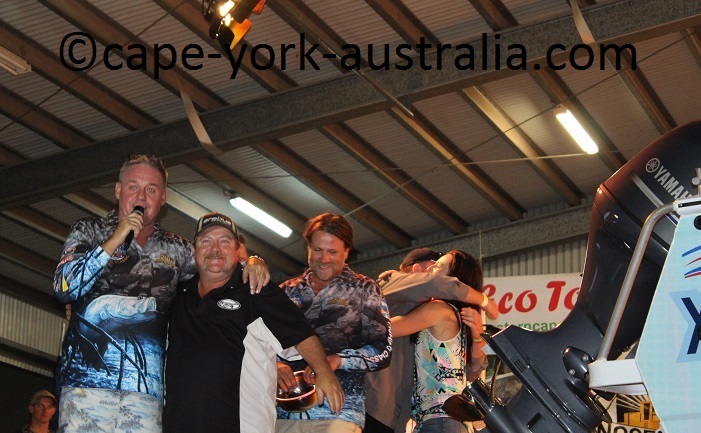 ... and the winners announced on both Saturday and Sunday. 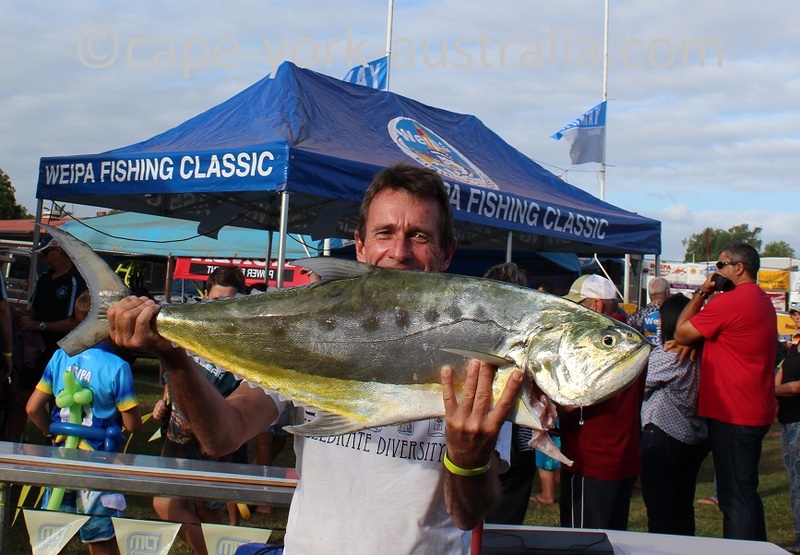 There are Open, Women's and Juniors' categories, and the fish had to be caught on a hand line or rod and reel in the waters around Port Musgrave and Albatross Bay, starting at midnight Friday. 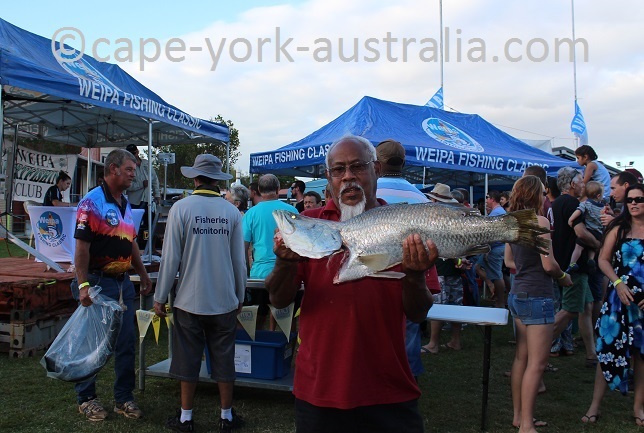 The eleven species eligible for Open category were barramundi, jew fish, coral trout, trevally, mackerel, queenfish, grunter, tusker, fingermark, king fish and reef fish (nannygai and red emperor). 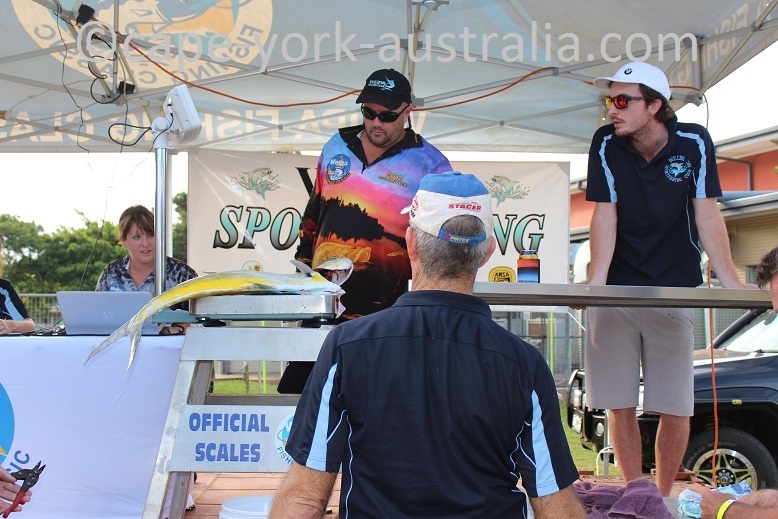 The six species eligible for Juniors were barramundi, grunter, queenfish, bream, blue salmon and king salmon. 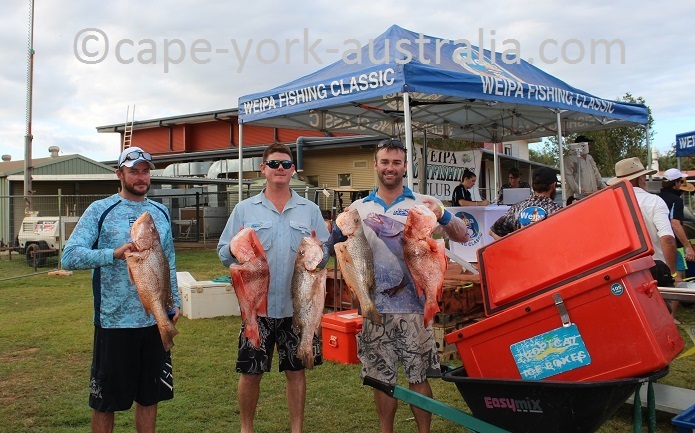 There are obviously also minimum sizes for all fish species (on the photos is random fish, some but not all are the winners).